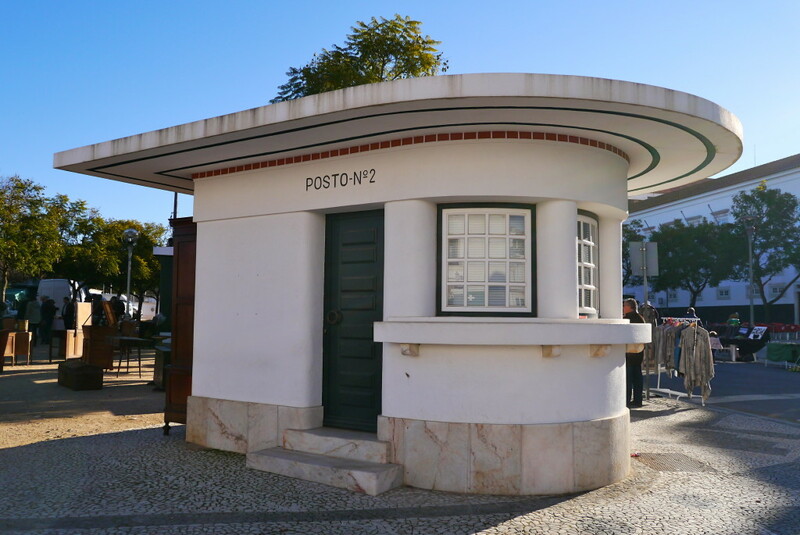 I was quite pleasantly surprised when I arrived at Lisbon's Cais do Sodre station to catch a train towards Cascais. 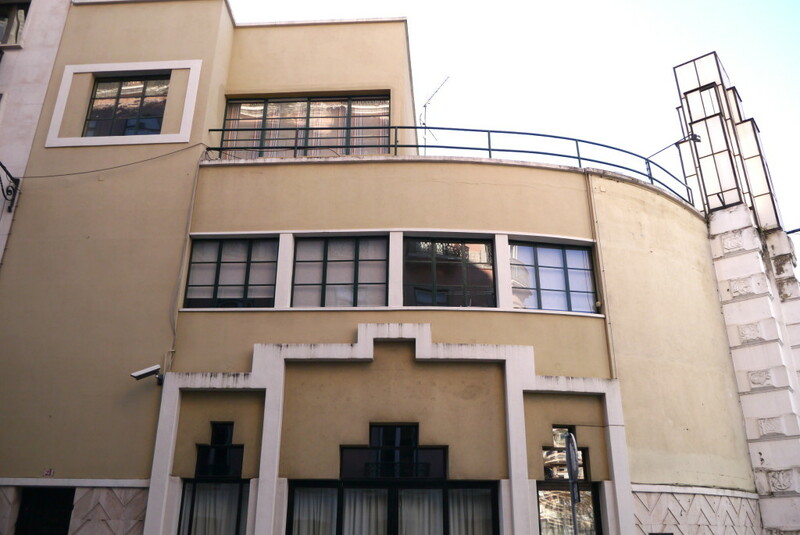 Opened in 1928 and designed by Pedro Botelho and Nuno Teotónio Pereira, the most notable feature of this Art Deco building is its beautiful foyer, with an emphasis on geometric patterns. 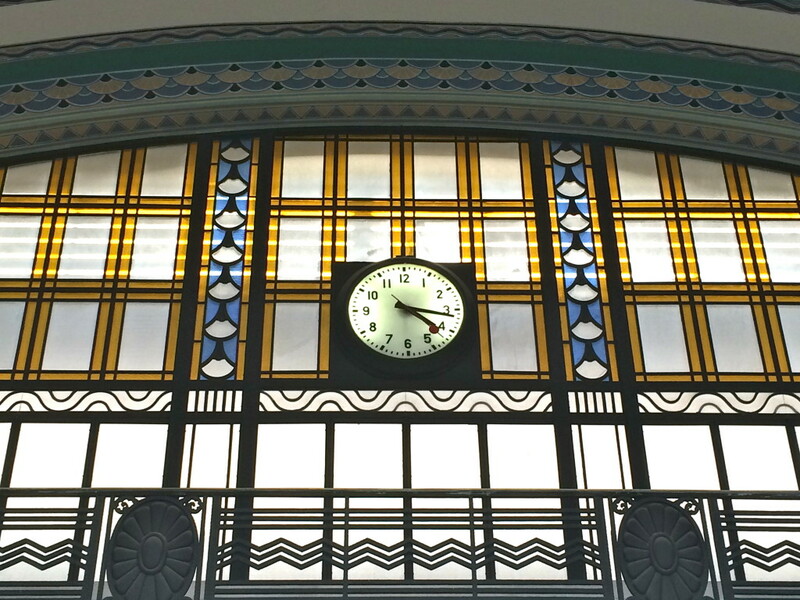 I like the simple but impactful stained glass windows, and the use of zig zag lines and checked patterns throughout. There is a lot going on, but somehow it works harmoniously. 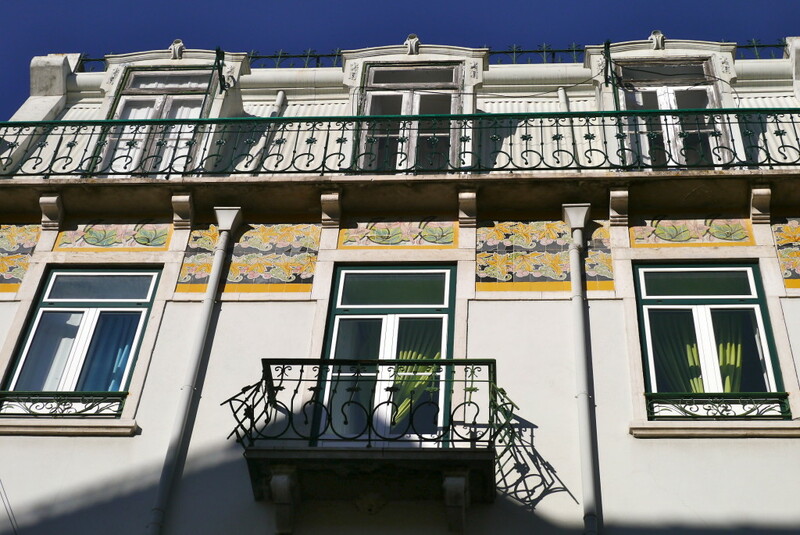 In the centre near the Praça dos Restauradores stands one of Lisbon's most beautiful Art Deco buildings: the former Teatro Eden. 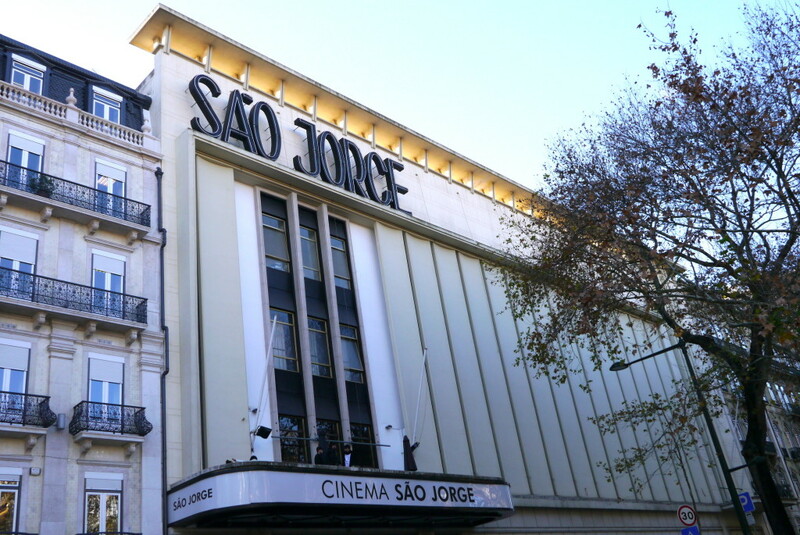 Opened in 1931 and designed by architects Cassiano Branco and Carlo Florencio Dias, it soon became one of the city's most important cinemas. 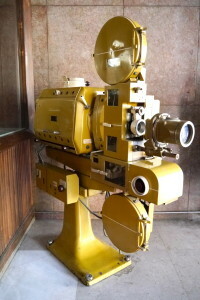 Unfortunately, the cinema closed in 1989 and was left neglected for years until it was converted into Orion Eden Hotel in 2001. 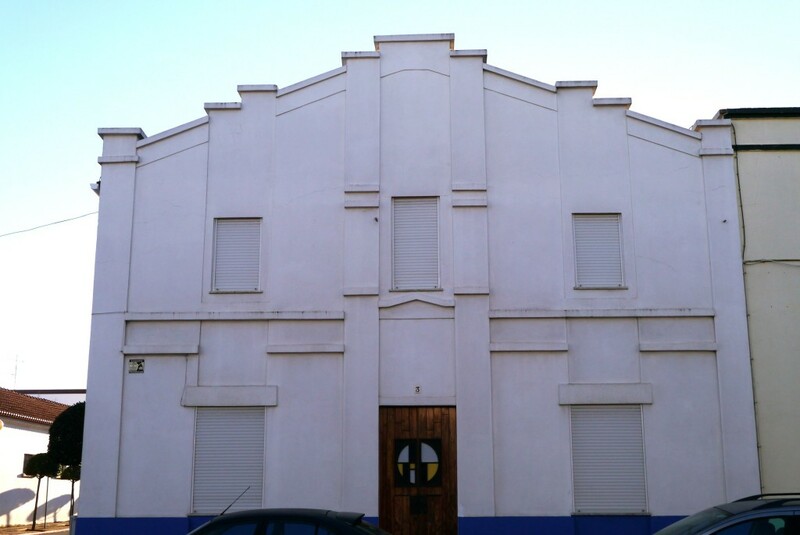 Not far from the old Teatro Eden is another former cinema, Condes Cinema. 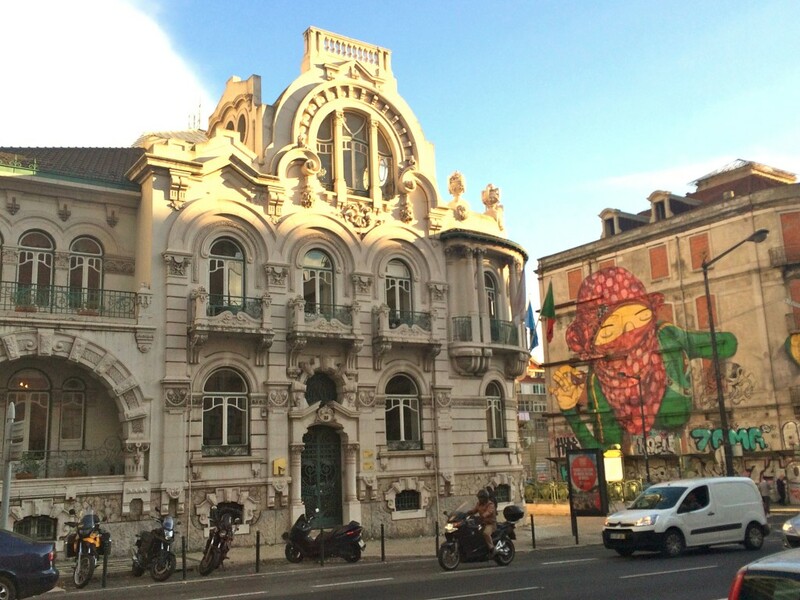 It was built in 1951 by architect Raul Tojal on top of the former Teatro da Rua dos Condes. The notable feature of this Art Moderne building is its streamline corner and a circular rooftop. 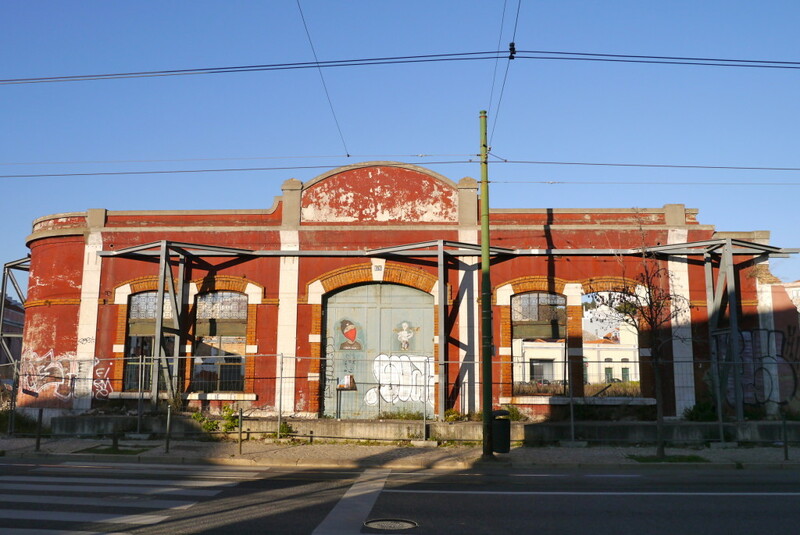 Like the fate of Teatro Eden, the cinema closed in the late 1990s and was left in ruins for years until it was converted into Hard Rock Cafe in 2003. 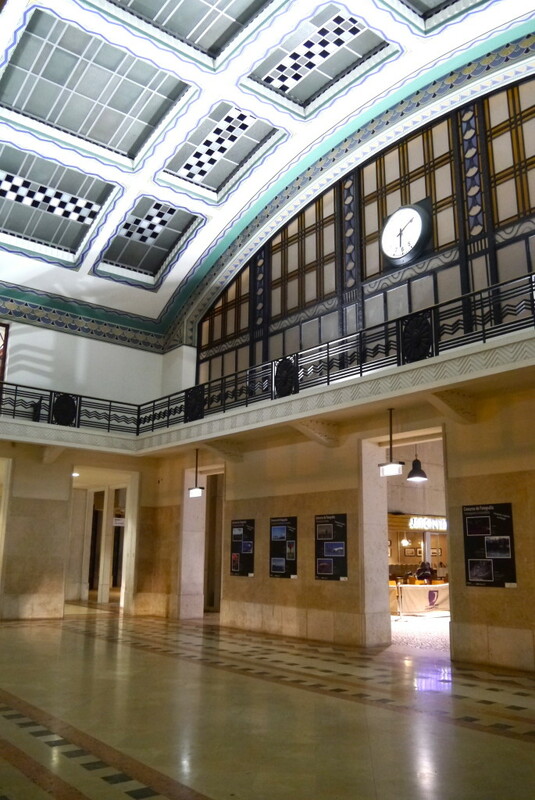 All the original fittings of the interior were demolished, leaving no trace of the old cinema. On Av. 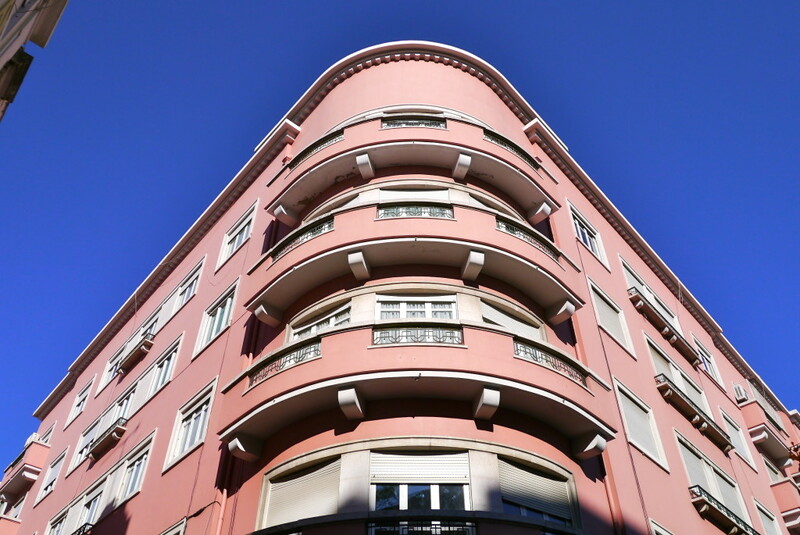 da Liberdade, the eye-catching Old Vitória hotel (170) was designed by Cassiano Branco in 1936-37. 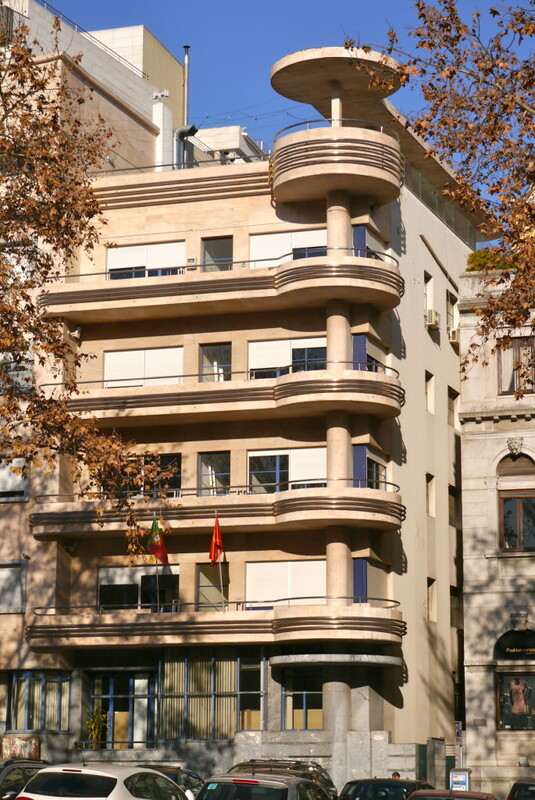 This marble-clad building was initially intended to be apartments, but opened as a hotel and is now the Communist Party of Portugal headquarters. It would be hard to miss this building from street level because of its distinguishable stacked circular balconies. 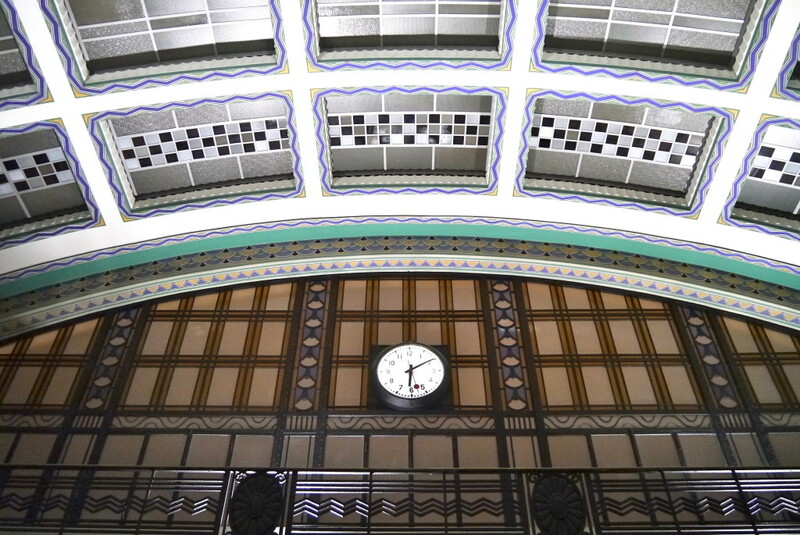 The composition combines the clean solidity of Modernism with the lyrical playfulness of Art Deco. Apparently, German spies frequented its grand rooms during World War II. 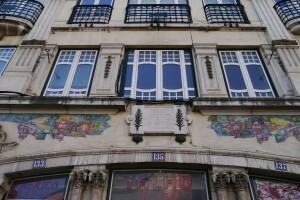 On the opposite side of the avenue, there is another bold building with a huge São Jorge sign on the top. 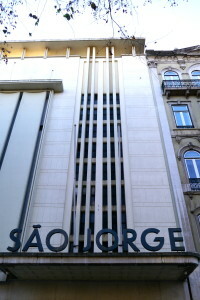 This is Cinema São Jorge (175), which opened in 1950 as the largest cinema in Portugal. 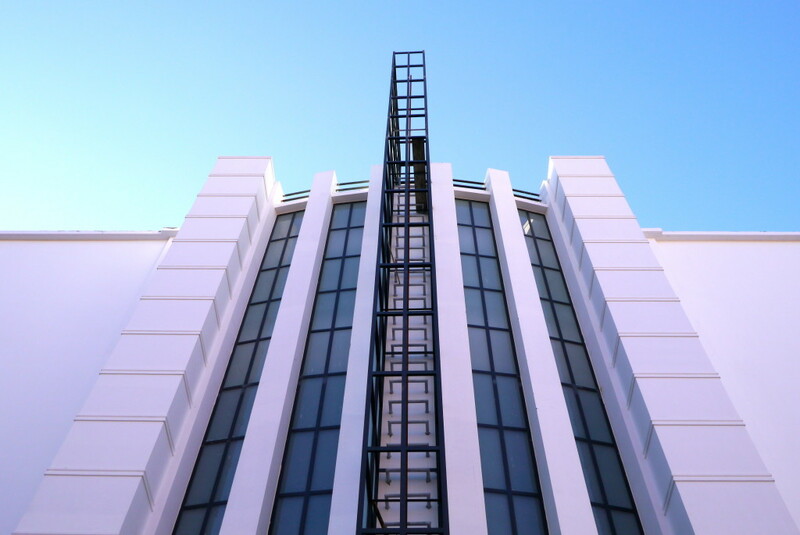 Designed by Fernando Silva, this elegant building reflected the glamour of Hollywood at the time. 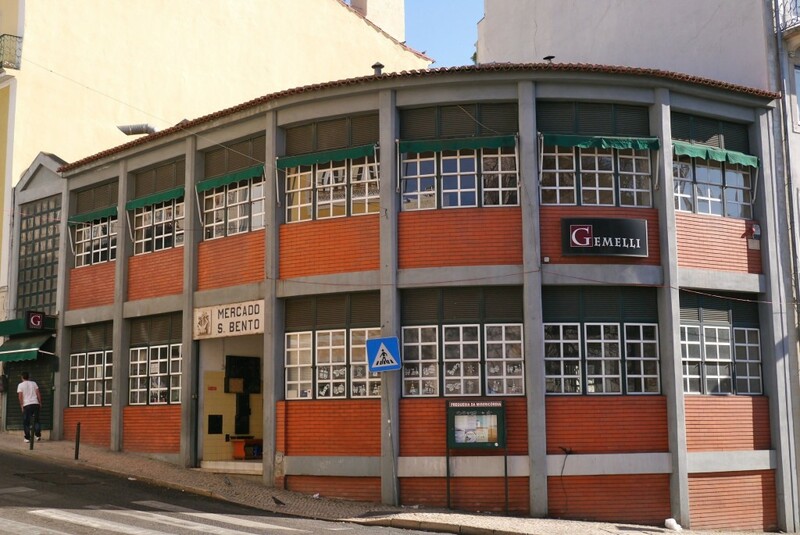 Unlike the two unfortunate cinemas mentioned above, this cinema was altered in1982 to incorporate two cinemas at balcony level, and was renovated in 2007 by the City of Lisbon. 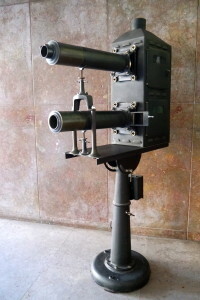 You can still see the two historical film projectors at the entrance of the cinema. 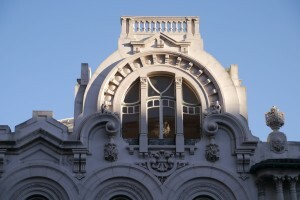 It is easy to be distracted by all the grandiose facades on Av. da Liberdade. Yet hidden behind these buildings lies an intriguing 1920s entertainment park/complex, Parque Mayer. 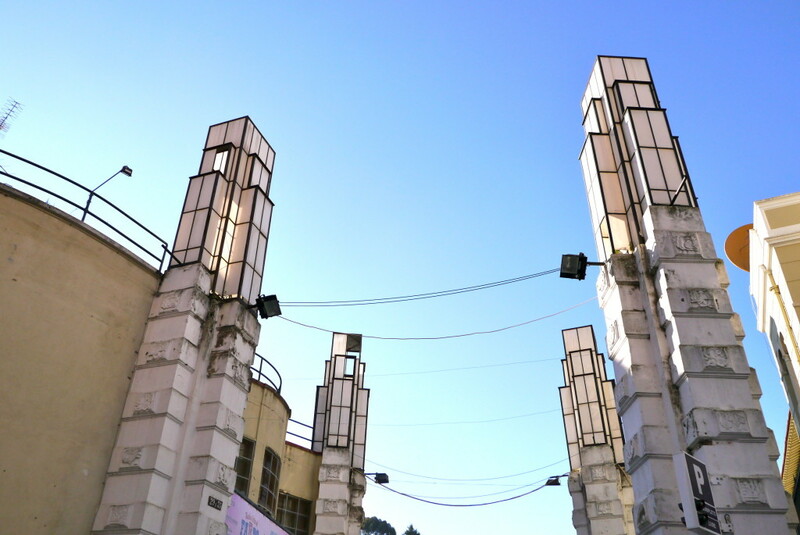 I was only lead into this complex (now also used as a car park) because of the four white pillars with art deco lighting at the entrance. I was curious and decided to explore further. 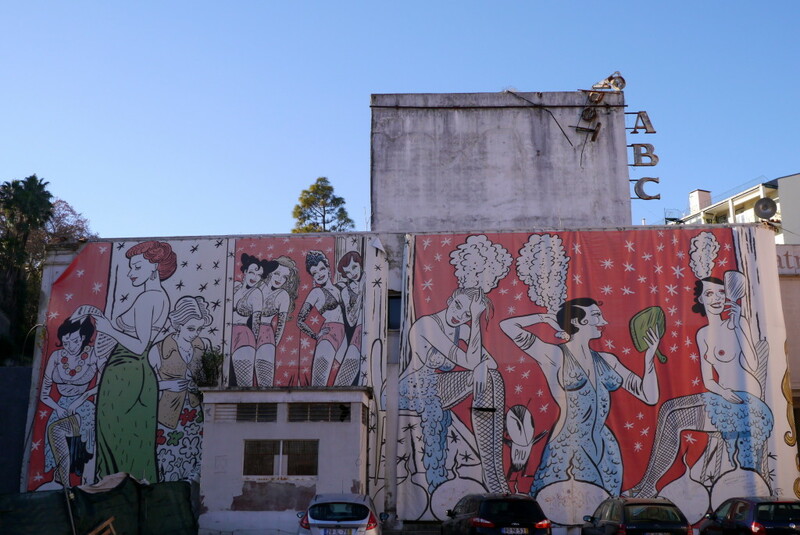 Wandering around the complex, I was shocked by the state of these old art deco theatres and the area itself. 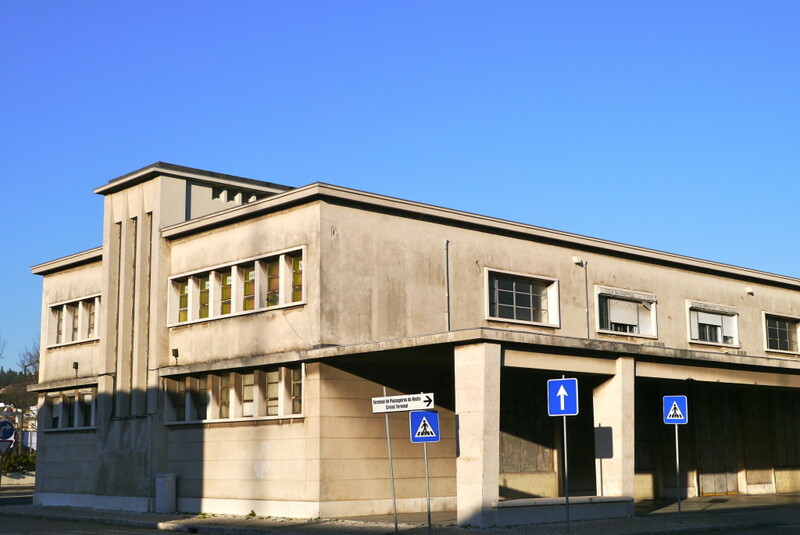 They looked as if they had been left neglected for decades, even though there is a functioning restaurant at the back and some construction workers working on the site of a white building. 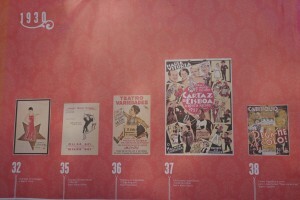 On the wall of the Teatro Varidades, there are hangings of the theatre's history since the 1920s. So I can't help wondering to myself: what happened to this place? The history of this entertainment park began when it was acquired by journalist, playwright and theatre impresario Luis Gallardo in 1921. Gallardo wanted to create a park or mini Broadway dedicated to theatres and entertainment, and so Parque Mayer was born in 1922. 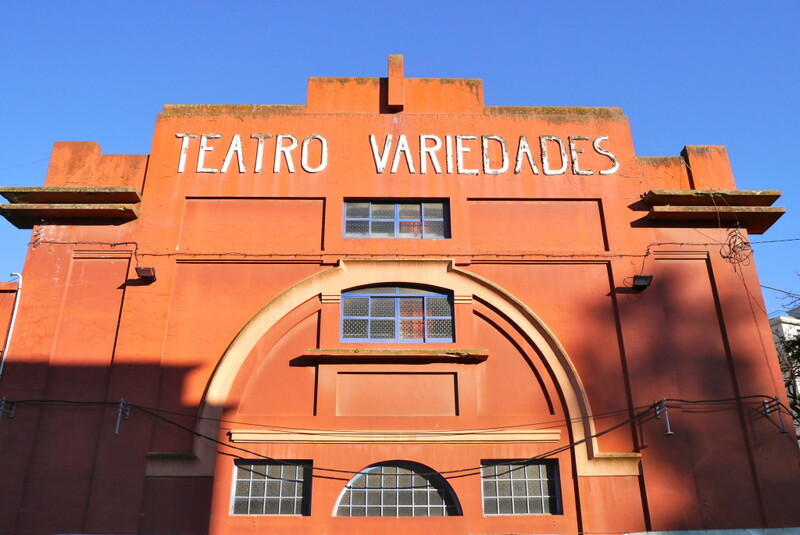 The first theatre that opened was Teatro Maria Victoria, named after the actress and singer Maria Victoria who died a few years earlier. 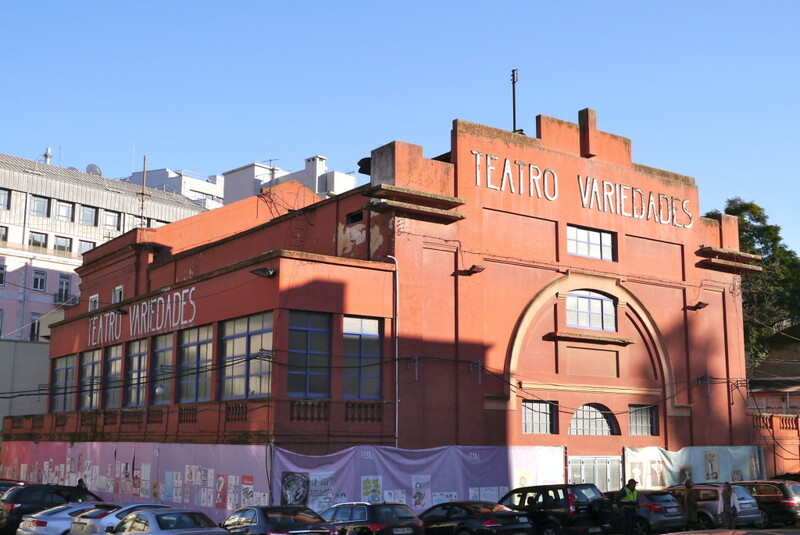 Then others followed: Teatro Varidades (1926), Teatro Capitólio (1931) and Teatro ABC (1956). 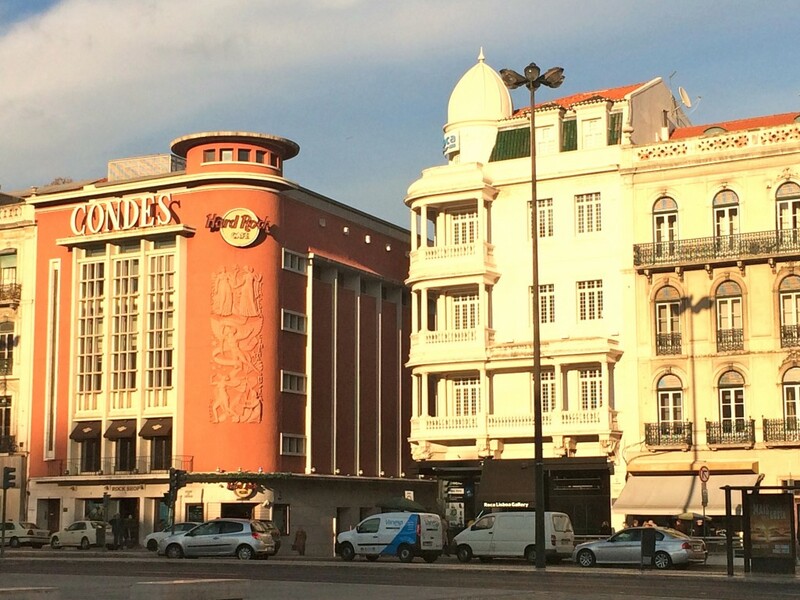 Aside from theatre, there were also restaurants, carousels, fado houses, cinema and box fight. 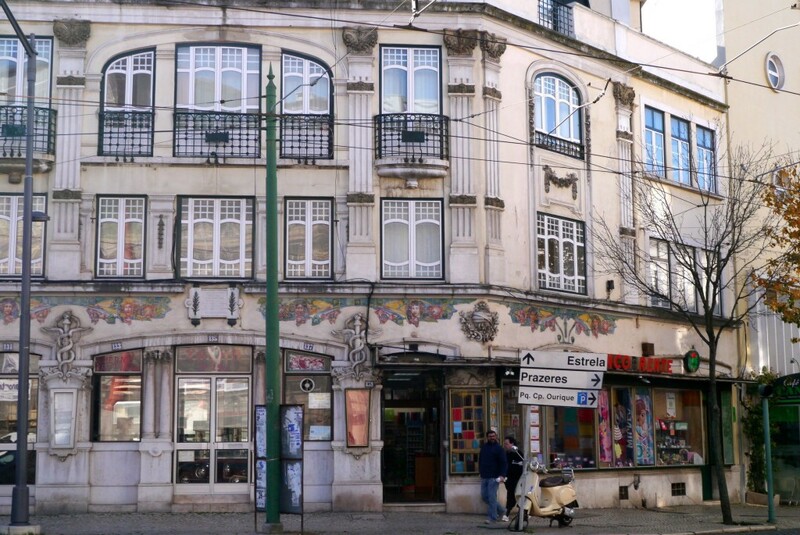 It was a bohemian place par excellence, and a magnet for Lisbon's political elites, artists and intellectuals. 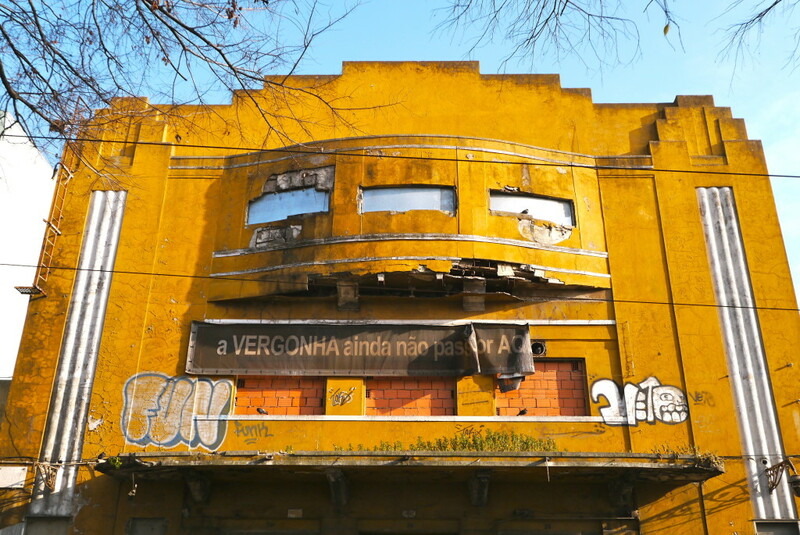 I didn't find much information on what exactly happened, but presumably like many other theatres and cinemas in Lisbon, it fell into decline at some point and eventually became a derelict site. 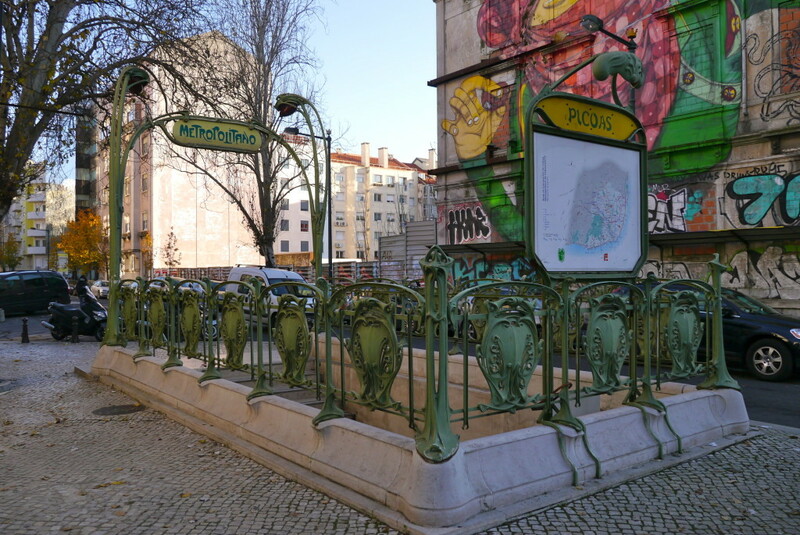 A new rehabilitation project of the park was proposed in the mid 2000s, but constant legal disputes and bureaucracies between BragaParques (the landowner) and the Council of Lisbon had barred the project from going ahead. Will we get to see a new entertainment park in the future? Let's wait and see. 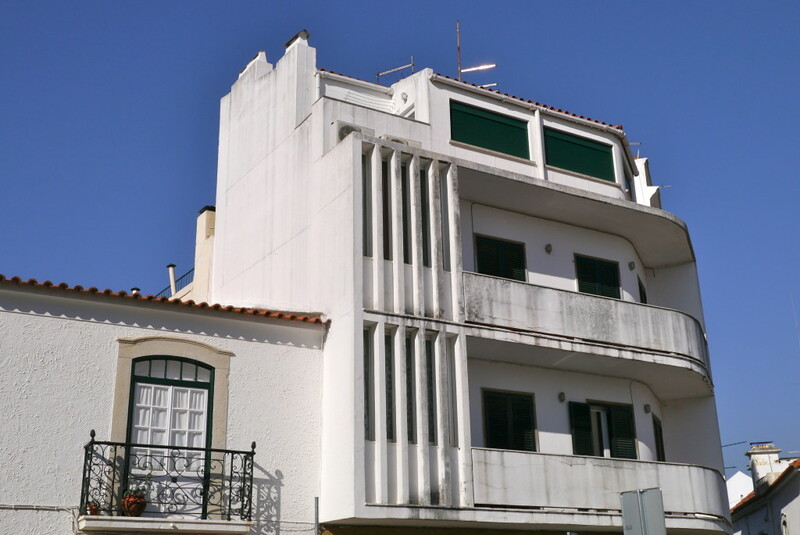 By the seafront in Alcãntara is the Museu do Oriente, which I mentioned in the previous entry. 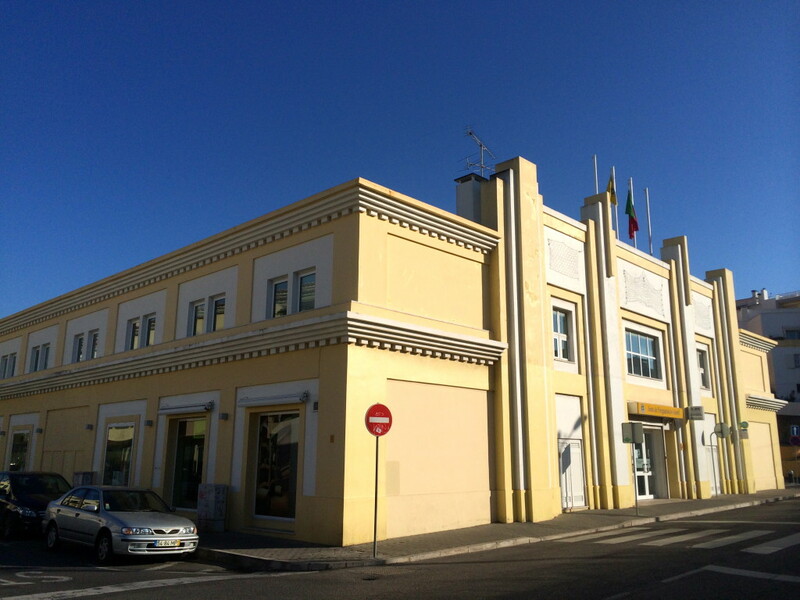 The restored 6-storey white conspicuous building was a former salted cod (bacalhau) processing factory. 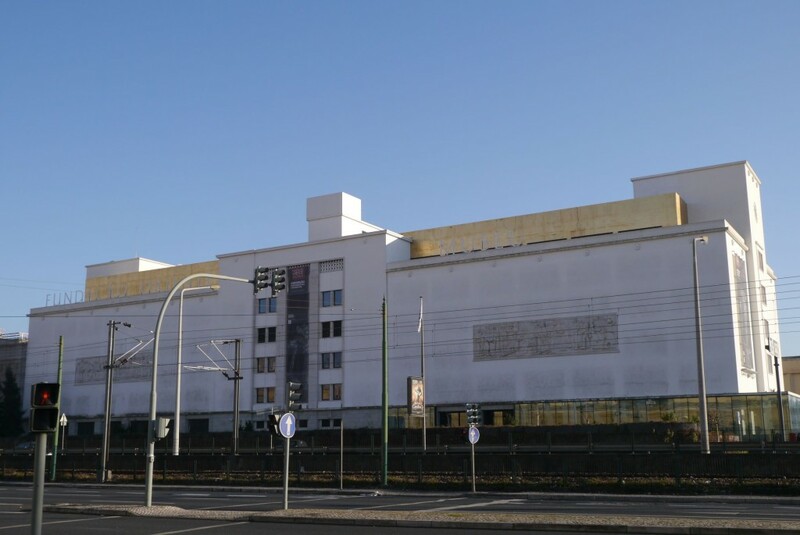 Originally designed by Portuguese architect João Simões Antunes in the 1940s, it was converted into the current museum in 2008 by Carrilho da Graça Arquitectos. 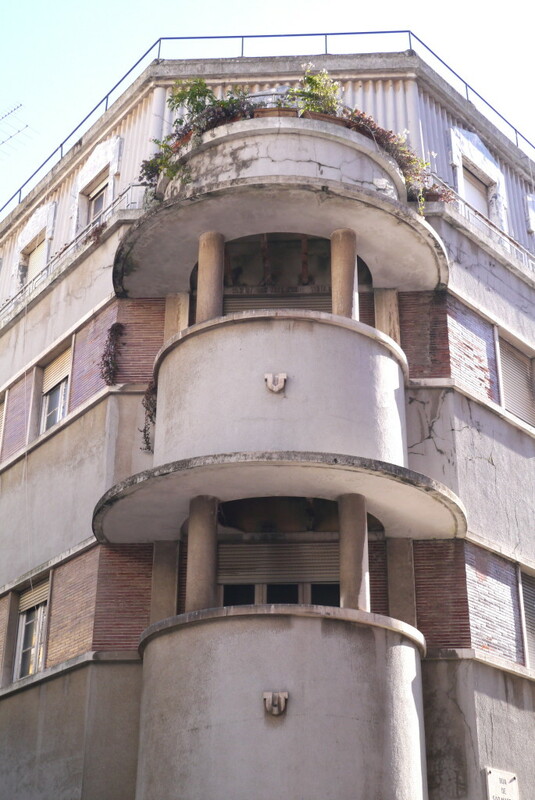 There are also some interesting art deco buildings nearby, probably built around the same period. 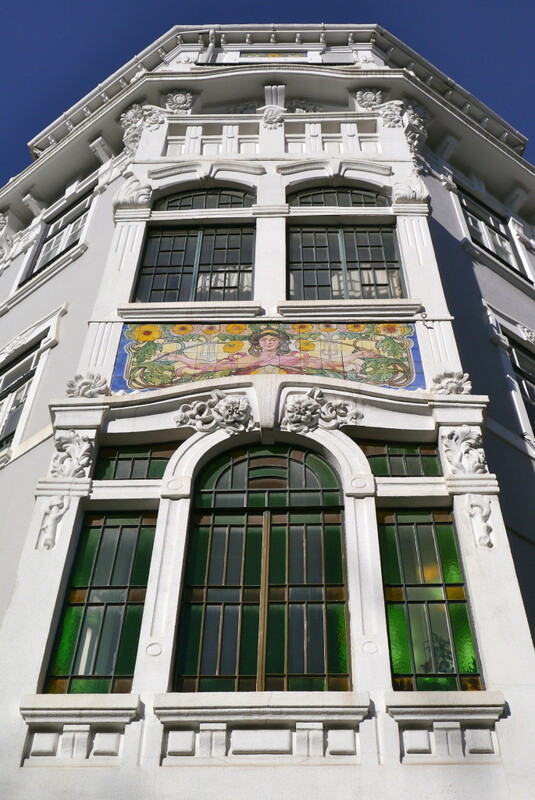 Besides art deco, art nouveau architecture can also be spotted in the city especially around the Estrella district. 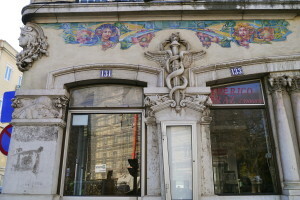 Yet the most fascinating art nouveau architecture is located at 28 Av. 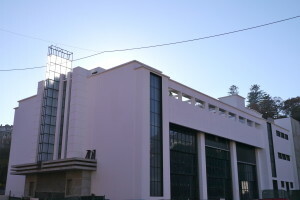 Fontes Pereira de Melo, the Headquarters of Metropolitano de Lisboa, designed by Portuguese architect Manuel Joaquim Norte Júnior in 1912. 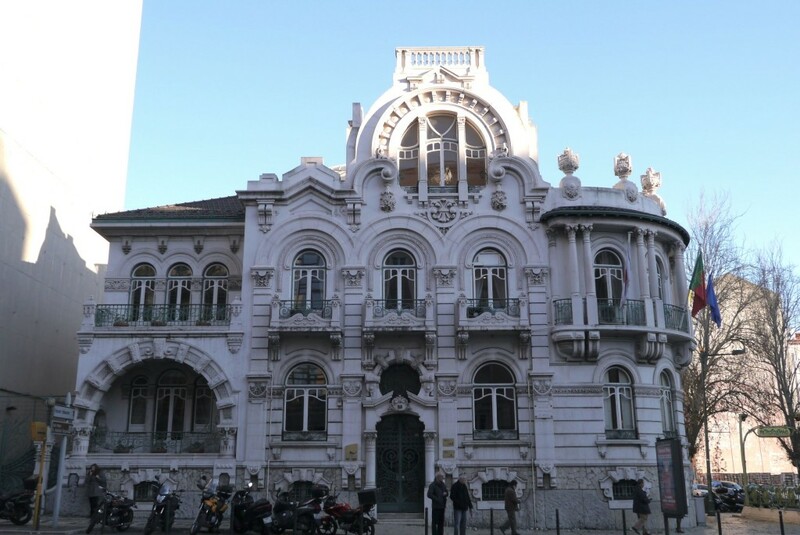 Informally nicknamed the 'wedding cake' for its exuberant decoration, the building was the recipient of the Prémio Valmor architecture award in 1914. 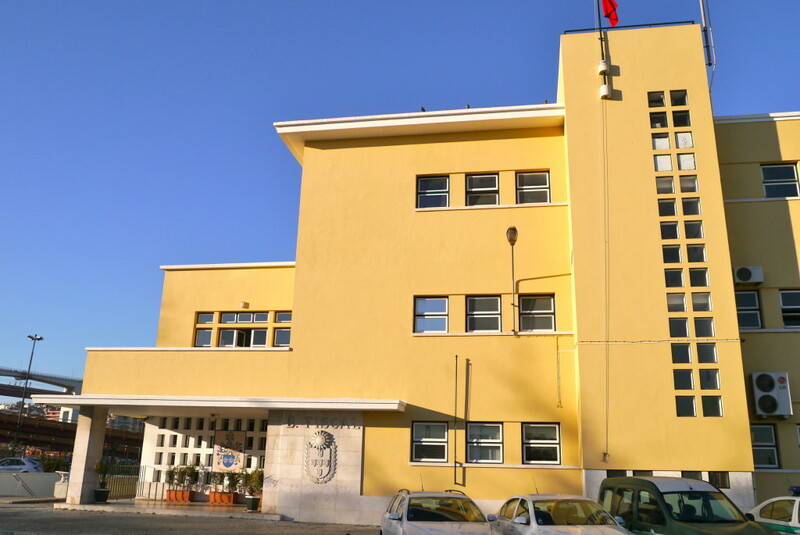 Designed as a private residence, it has been the headquarters of Metropolitano de Lisboa (the managing company of the Lisbon Metro) since the 1950s. 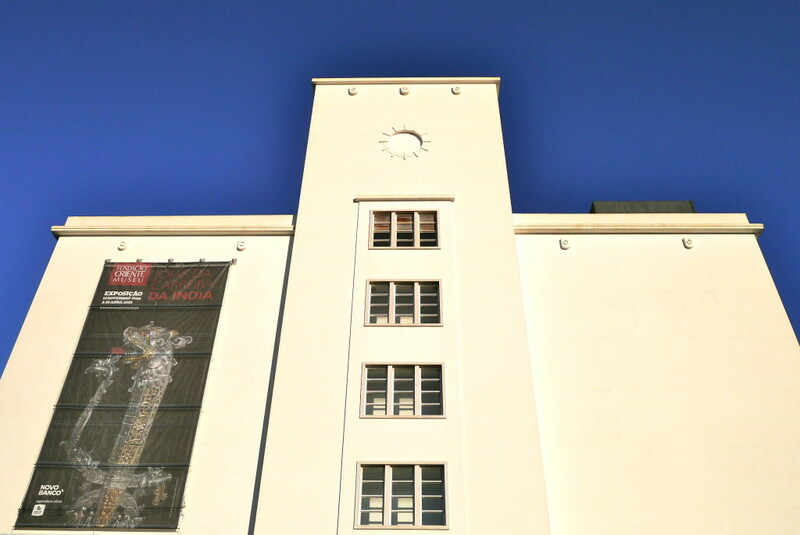 The building is also listed as of Public Interest in 2002, and is considered a remarkable 'museum' of early 20th century decorative arts, given its lavish finishes and details. 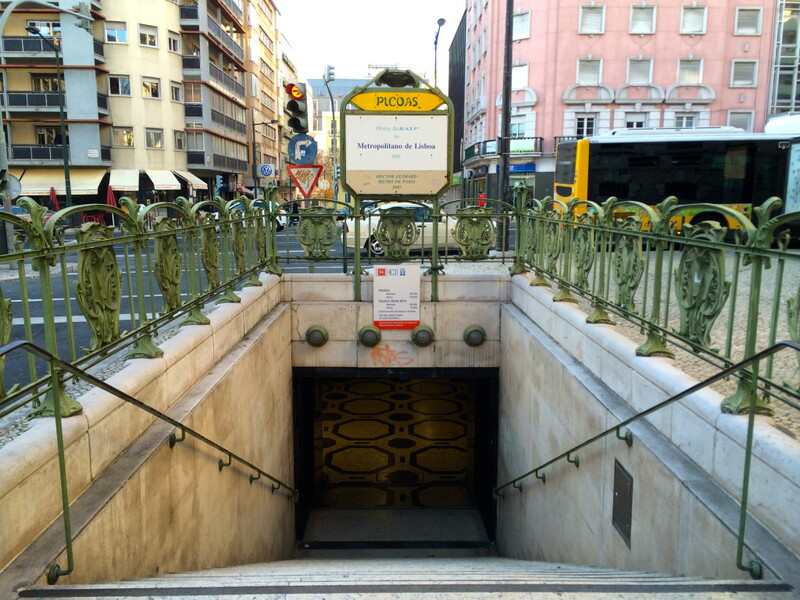 Right next to it is the entrance to the Picoas subway station, a gift from the Paris Metro (RATP) known as Guimard access in 1995. 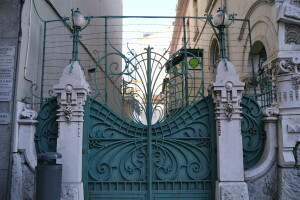 (there is also one in Moscow at the Kievskaya station). 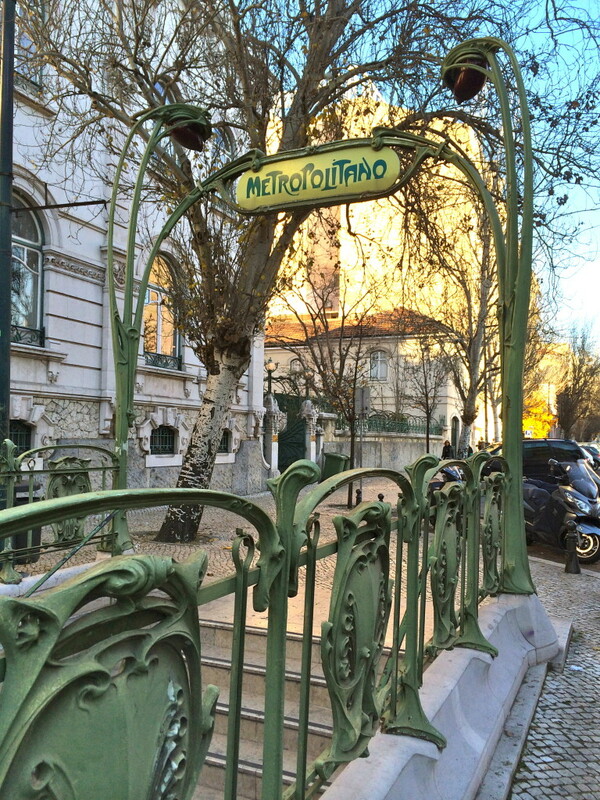 This is a copy of the original designed by French Art Nouveau architect Hector Guimard to adorn the entrances of the Parisian Metro Stations that can still be widely seen in Paris today. Thank you ever so much for your hard work on producing this. 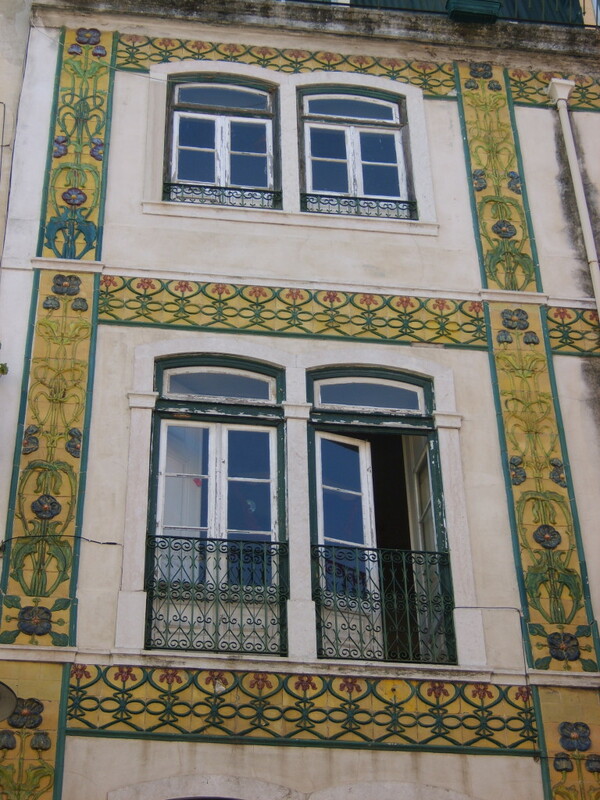 I'm right now walking around Lisbon having a eye-feast of so much architectural beauty. Thank you for your encouraging comment. 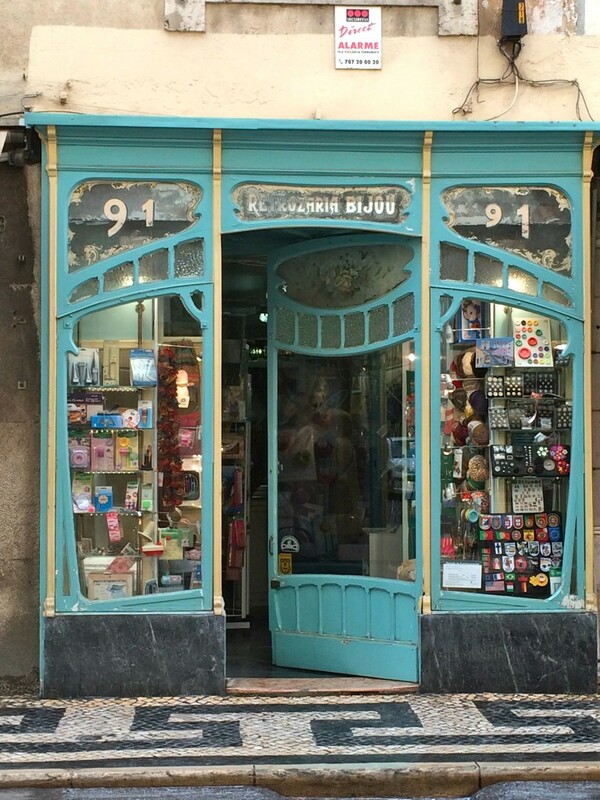 I love Lisbon–it's a beautiful city full of interesting architecture and shops. Enjoy your time there!